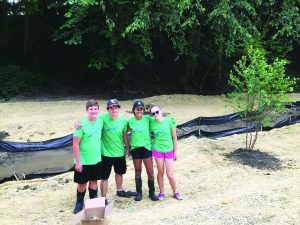 Rockford locals may have noticed green-clad students working throughout the community this summer, usually covered in mud and always sporting a smile. 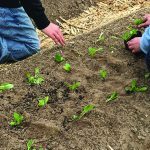 It may look like a typical summer gardening job, but don’t be fooled-this group has a greater mission. 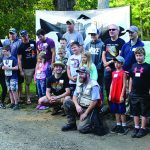 For its third year, Trout Unlimited (TU) assembled a ‘Green Team’ to support efforts of the Rogue River Home Rivers Initiative. Eight local Rockford students were hired and tasked with protecting and restoring the important coldwater resources of the Rogue River. The program, which is quickly becoming one of TU’s most impactful projects, was started as a counterpart to the successful program of the Plaster Creek Stewards, a part of Calvin College. The addition of the Rogue River Green Team, working in an upstream community in a higher quality watershed than Plaster Creek, introduces students to matters of environmental injustice and helped bridge typical social barriers, allowing long lasting relationships to be formed. 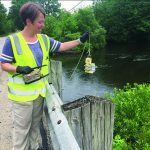 As the students immersed themselves in the field of conservation through hands on service learning, they not only had major impacts on the health of local streams, but improved their environmental literacy and knowledge of community issues. 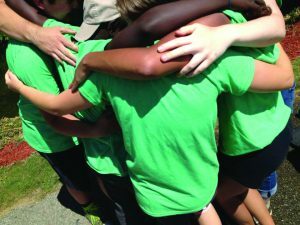 “The Green Team was a great experience because we were able to both learn and work while helping an important issue in our community,” said Nate Bollman, a Rockford resident and student of Grand Rapids Christian High School. 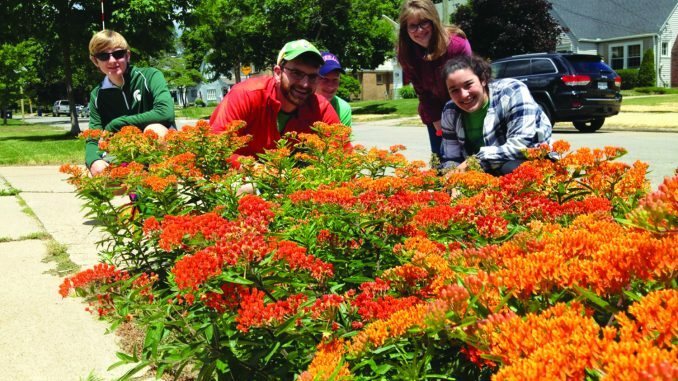 When the Green Team wasn’t working outside, they were learning about the college experience from student mentors at Calvin and even began to explore potential careers in the environmental field. They had lunch with local environmental professionals, including a representative from Senator Debbie Stabenow’s office. They toured Catalyst Partners’ LEED Certified facilities to get familiar with jobs in the green building sector. 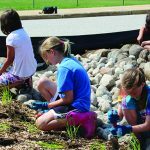 As demand for professionals with experience in green infrastructure grows, these students can grow up to serve a unique and expanding niche in West Michigan. The Green Team is supported by the Environmental Protection Agency through the Great Lakes Restoration Initiative.